LG Chem has agreed to supply electric-vehicle batteries to Volkswagen, a company executive said Tuesday. "Volkswagen has designated LG Chem as one of its key battery-sourcing channels to push its electric car projects," the executive said by telephone on condition of anonymity, citing the sensitivity of the issue. "LG is going to supply battery packs and solutions to the German carmaker." The deal with Volkswagen is not as big as similar deals between LG and other leading carmakers such as General Motors and Ford, said the executive. The partnership also involves collaboration on various products the German car manufacturer is working to develop as part of its electric-vehicle projects, part of its efforts to reduce carbon emissions. 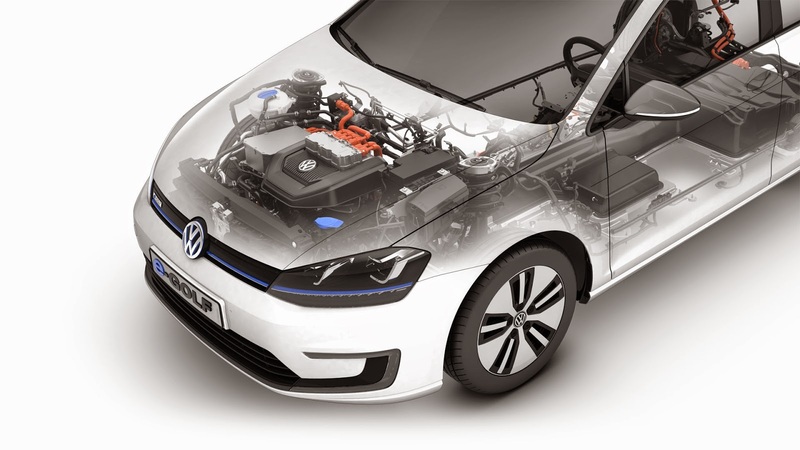 For example, Volkswagen is working to attain "ultra-low-carbon mobility" for its new eGolf electric vehicle, said officials. The vehicle is a fully electric version of Volkswagen's popular Golf. "LG Chem will join futuristic electric car business projects such as [projects to develop] plug-in hybrid electric vehicles led by the German carmaker thanks to the latest battery deal," said the official. An LG Chem spokesman declined to confirm. LG Chem has been in talks with Volkswagen over the past four years regarding a business partnership involving batteries for electric vehicles. The executive said it was Beijing's approval to proceed with LG's plans to build a battery joint venture in China that helped the LG Group affiliate land the partnership with Volkswagen. Volkswagen plans to spend more than $2 billion on models and on two new facilities in China, increasing total investments in the world's biggest auto market to nearly $8 billion. LG Chem Chief Financial Officer Cho Suk-jeh told investors and analysts that the company aimed to generate nearly 2 trillion won in revenue from its large battery business, including energy systems, by 2016. The petrochemical business is the biggest cash cow for LG Chem, accounting for 77 percent of its 5.87 trillion won in sales in the second quarter. Batteries accounted for 12.3 percent and electronic information materials 12.1 percent. LG Chem is gradually cutting its reliance on petrochemical products as part of an effort to diversify its revenue sources. On a related note, in 2016 the company plans to begin providing carmakers with batteries capable of powering electric vehicles for at least 200 miles (322 kilometers). LG Chem currently supplies lithium-ion batteries to General Motors, Ford, Hyundai-Kia, Renault, Volvo, and other carmakers. The 200-mile-plus range of the new batteries is roughly double that of the company's current, first-generation electric-vehicle batteries.